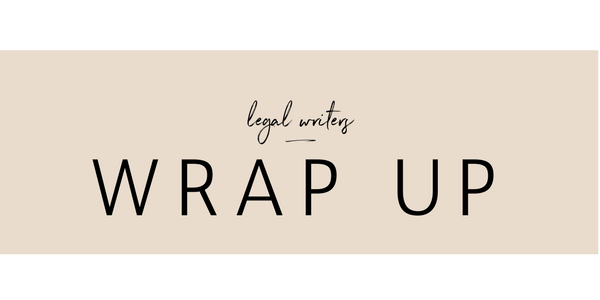 Here at Legal Writers, we’ve wrapped up warmly to bring you this month’s Wrap Up. Parliament has been on winter break since 29 June, so there’s no new legislation to report for July, but the courts are always busy! We’ve brought you the best tidbits of legal news for all your content creation needs. If your clients would like to know more, get in touch and we’ll be happy to help get the word out. In Victoria, any new dwelling planned for the Neighbourhood Residential Zone or General Residential Zone must also include a minimum garden area. The required area depends on the land size and is stipulated by the Building Amendment (Garden Area and Siting Requirements) Regulations 2018. Industry funding is now in place. Small businesses will receive a $4 increase in their annual review fee. Larger operators should have received login details to ASIC’s new regulatory portal in July. They may also be asked to provide information about their business which will then be used by ASIC to determine what their annual levy will be. These businesses will not receive an invoice for their new fee until January 2019. The Modern Slavery Bill 2018 was introduced to Parliament before the winter break and is expected to pass shortly after resumption. Its aim is to identify modern slavery risks in supply and operation chains, and will impose a reporting requirement for large businesses to detail their actions in addressing those risks. My Health Record has been in the news recently, with last minute amendments coming into play after a high percentage of Australians opted out. While we don’t yet know if it will become opt-out instead of opt-in, healthcare providers should be aware of their responsibilities under the My Health Records Act 2012, which offers a parallel regulatory scheme on top of existing privacy law. The pilot program for the Global Talent Scheme commenced on 1 July. Businesses can now sponsor highly skilled and specialised workers who will help to grow their businesses and create more jobs.